The 5th Annual Smoky Mountain Military and Relic Show is coming to Pigeon Forge at the Smoky Mountain Convention Center this weekend, August 23-24. This year the show combines with a tribute to Vietnam veterans in a parade on Saturday, August 23, and an exhibit staged August 21-24. 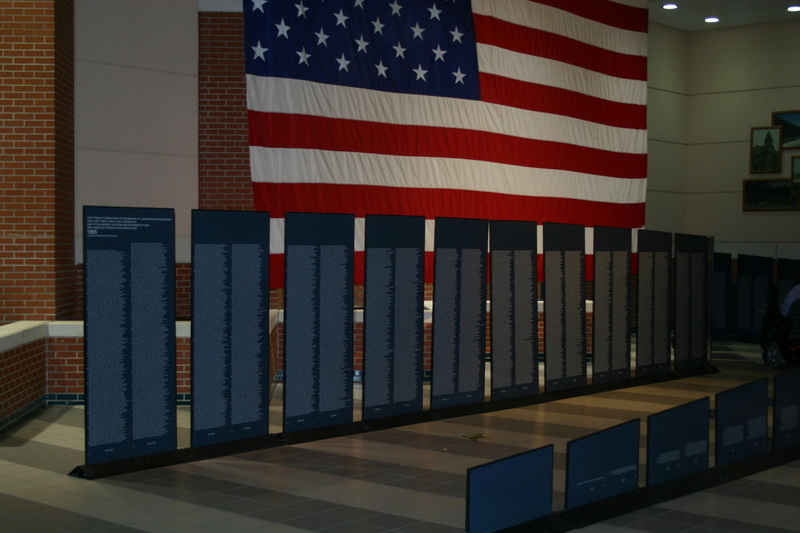 Of late the Civil War focus of the show has expanded to include aspects of more recent military history, and this is especially so in its convergence this year with the traveling memorial and tribute to Vietnam. 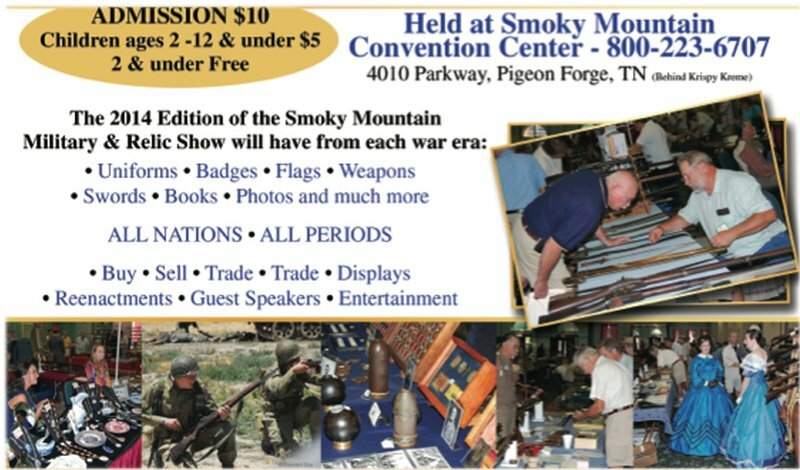 The Smoky Mountain Military and Relic Show on Saturday and Sunday is a family-friendly event featuring countless artifacts of the Civil War including weaponry such as rifles and pistols, uniforms, books, photographs and many more collectibles from the War for Southern Independence to the present. Highlights of the weekend include a spellbinding talk on Saturday afternoon on legendary Confederate sniper Jack Hinson, followed by a presentation on the Navajo “Code Talkers”. On Sunday, the Daughters of the Confederacy will model clothes of the era in a “fashion show”. Live music features on both days. Alongside the show runs a parallel event brought to us by the American Veterans Traveling Tribute, dedicated to honoring veterans of the Vietnam War. The Cost of Freedom is memorialized by AVTT in several exhibits, including the centerpiece Traveling Wall, a half-scale version of the Vietnam Memorial Wall in Washington, DC. Saturday morning begins with a 9 am formation of the Welcome Home Vietnam Parade – scheduled to begin at 10 am from Traffic Light #4, and culminating at the Convention Center show. This is the “parade they never got” and will be attended by hundreds of veterans supported by reenactment groups, military vehicles, marching soldiers, motorcycle groups, high school bands, floats, tricked-out cars, displays, helicopters (on the ground and in the air), guard dogs, dignitaries, local celebrities and cheering crowds, all in a hugely emotional parade. Country icon Ms Louise Mandrell is Grand Marshall for 2014. Patriotism merges with solemn remembrance as America’s history from the Civil War through recent times and to the present day is on display and on parade, this weekend in Pigeon Forge. For full details visit the web site for the 2014 Welcome Home Celebration & The Smoky Mountain Military & Relic Show.